You know how it is... you're minding your own business and - suddenly - Peter Cushing turns up and your transported back to the battlefields of WWI Europe. 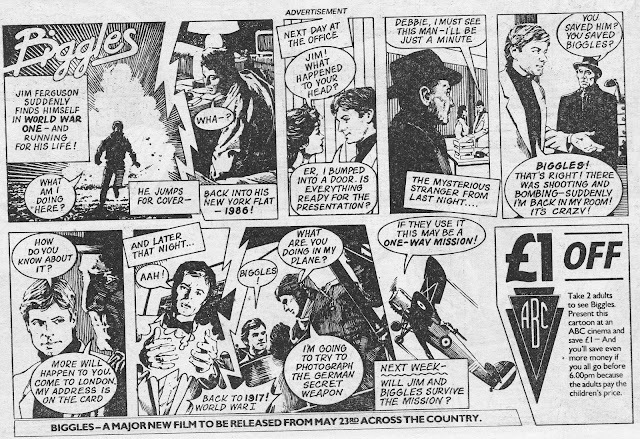 This is the second - of five - part of the uncredited BIGGLES movie promo-strip that ran in EAGLE during May 1986. This edition appeared in the issue dated 10 May.